Last night's Saturn Awards were truly dominated by Marvel movies, mostly from Marvel Studios. 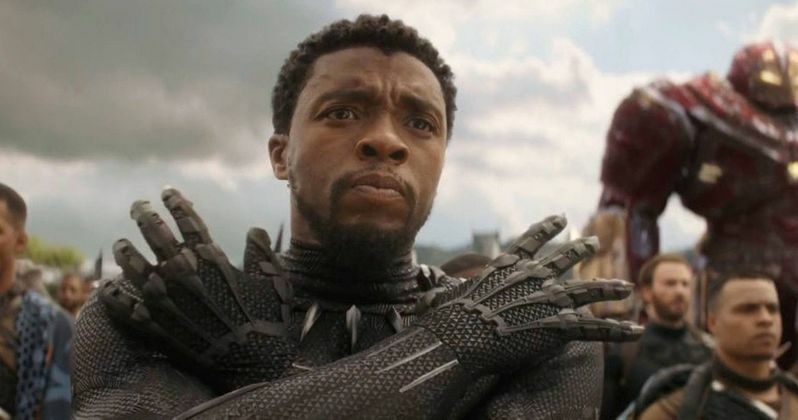 The biggest hit was Black Panther, which single handedly brought in a whopping 5 awards. Other wins from Marvel were for Guardians of the Galaxy Vol. 2, Spider-Man: Homecoming, and The Punisher, in addition to Logan, which didn't technically come from Marvel Studios, but is a Marvel property nonetheless. Among Black Panther's five wins were Best Comic-To-Film Motion Picture, Best Director, Best Production Design, Best Make-Up, and Best Supporting Actress, which Danai Gurira won. Additionally, Guardians of the Galaxy Vol. 2 won Best Special Effects, Spider-Man: Homecoming won Best Performance by a Young Actor for Tom Holland, Logan won Best Supporting Actor for Patrick Stewart, and Marvel's The Punisher won Best New Media Superhero Series. All things considered, it was a great night for Marvel. Outside of Marvel properties, Star Wars: The Last Jedi managed to earn itself three Saturn Awards. Mark Hamill won Best Actor and, to the disdain of a number of Star Wars trolls, Rian Johnson won an award for Best Writing. The sci-fi sequel also won an award for Best Editing. Furthermore, the TV series Star Wars: Rebels also won an award for Best Animated TV Series. One of the most confusing wins last night was for The Greatest Showman, which won the award for Best Action/Adventure Film, despite not really being an action or adventure movie. It most likely fell into that category due to technicality, considering that there is no Musical or Drama category at the Saturn Awards. While some of the decisions of last night's awards may be a bit surprising, such as The Greatest Showman. All in all, though, this list of wins reported by Deadline seems pretty decent, with a number of great movies like Black Panther and The Shape Of Water certainly earning their wins. Though these awards aren't as prestigious as the Oscars, Saturn Award wins are still victories for these movies nonetheless. Among other movies that won awards were Coco, Wonder Woman, Beauty and the Beast, Wonder, and Get Out, among others. Here is the full list of winners of last night's awards.